I will be the guest at an event for the Hollywood Arts Council. Come one out to see me and learn about the council. The event is free, and refreshments will be served. The Nutty Professor will be screened in the background while guest talk and mingle. I will have some rare Nutty Professor photos for sale and signing! at a public lot on the corner of Selma/Ivar. I will be at the BIGGEST Poseidon Adventure cast reunion yet! I will be joined by Eric Shea (Robin Shelby) in his first ever appearance at an autograph show, Ernest Borgnine, Pamela Sue Martin, Carol Lynley, and stuntman Ernie Orsatti who did the fabulous fall into the skylight during the capsize scene. I will have new photos available that have never been offered before from Poseidon Adventure!! I am an honorary member of an organization called "THE REEL COWBOYS". This organization is made up of actors, stunt people, directors, cameraman and other production crew from the heyday of western films and also people who are fans of those films and the western lifestyle. At the end of the business meetings, some members, including yours truly, will sing some good cowboy songs. They appear in several parades and do very good charitable work. Remember, I did sing in one of my westerns. It was a song called "Butterfly Mornings" in "The Ballad of Cable Hogue". December 2006 - Here I am once again by a very tall Christmas tree, decorated with golden ornaments, only this time the tree remained right-side up. I have just received an award for my contributions to the entertainment industry from the SCMPC. It was their 70th anniversary. 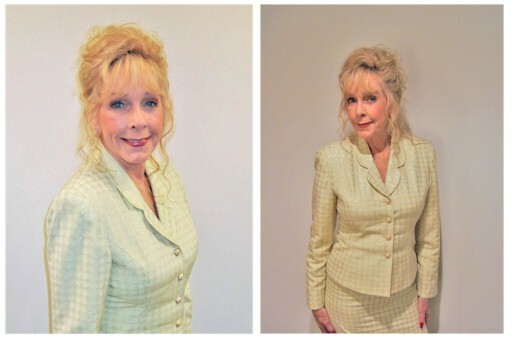 Copyright © 2004-2009 Stella Stevens All other copyrights are reserved by their respective holders.